An Ally Every. Single. Day. 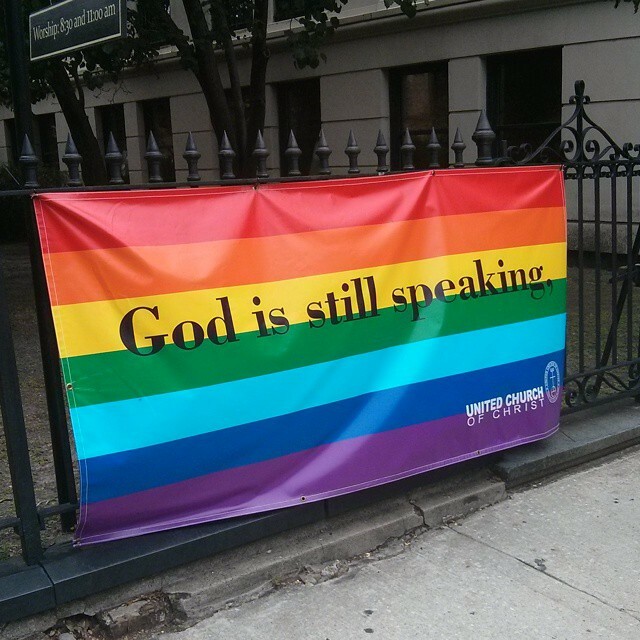 Back in February, I “came out” as it were as an “open and affirming” chaplain. It’s had an interesting effect on my ministry. Over the last few months, after leaving the prison and going to my mid-career Army chaplain school, it’s been revealing just what that means for me. 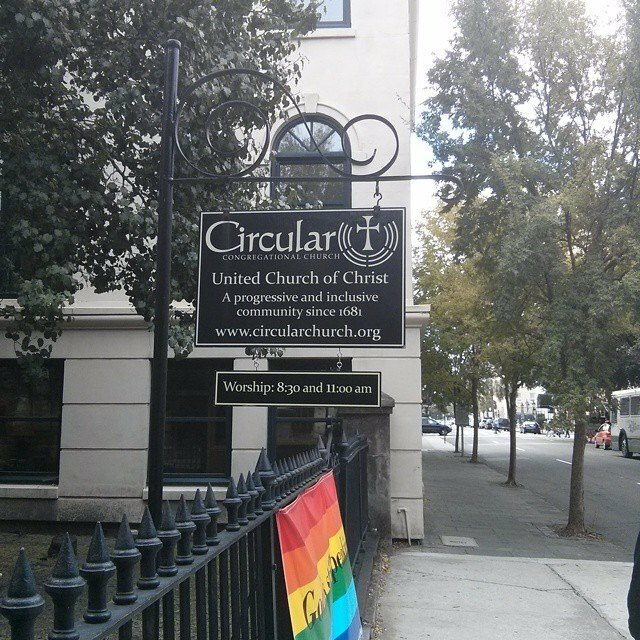 I replied by saying how cool it was that when this church said they welcomed everyone, they meant it. Another chaplain made a comment about the size of the church, something like, “Well, no wonder they are dying since they left the truth” – or words to that effect. I gently questioned if he was saying that there were not conservative churches dying across the country? Then pointed out that this church, unlike many others, had been around since the 1600s. I’m not a quick-witted person; I wish I had zingers that I could throw out there, but I’ve realized that the best way to advocate for others is to simply tell the other story, counter the embedded narrative and to do it in love. 2. It means being gentle and allowing people to grow in their time. Not everyone is ready for their theology to be drastically confronted. To be clear, I am much harder on chaplains than any other group since they, of all people, should understand treating others with dignity and respect – and should be able to handle having their theology questioned. Sometimes, I’m gentle in poking holes in arguments or reflecting what a statement might sound like to an LGB* Soldier – other times, I just lay it out there and watch the sparks fly. Either way, I try valiantly to couch all advocacy in love. But bullying – that I confront. There is too much to loose. And it’s not going to happen. Here’s the thing: when dealing with those who have been battered and bullied by theology and churches for this long – we need to be clear and direct about how we, as clergy, will interact with them. If you are truly welcoming, then say it and be specifically inclusive. Let people know who you are welcoming to, and how you will treat them when they come to you. Put up signs. Make statements. 4. It means being an ally for everyone. I have found that it’s not just LGB* Soldiers that need an ally – I try to use my limited status, power, and responsibility as an Army chaplain/officer to be an ally for all minority groups I come across. Minority faith groups need intentionality. Women, other ethnicities – it means separating from a joke, even the well meaning ones – because joking from a position of power and majority sounds an awful lot like bullying. And that is where it’s actually the hardest. By the way, this blog inspired me to write this morning. Good thoughts. *I say LGB since the Army has yet to allow Trans Soldiers to serve openly, though it’s looking at the problem. It saddens me to know that in this age of such great progress towards equality, many LGBT persons still feel they cannot be completely themselves without being judged by people in the communities in which they live. In many places, there is still hate, shock, animosity, and a slew of other emotions that fill peoples hearts and lead to the ending of families and friendships. I understand, even after “Don’t Ask Don’t Tell” ended, why some choose to still remain closeted.It saddens me to know that in this age of such great progress towards equality, many LGBT persons still feel they cannot be completely themselves without being judged by people in the communities in which they live. In many places, there is still hate, shock, animosity, and a slew of other emotions that fill peoples hearts and lead to the ending of families and friendships. I understand, even after “Don’t Ask Don’t Tell” ended, why some choose to still remain closeted. For many of us who are out to our family, friends and coworkers, we may still struggle to be out “authentically” in our communities. If you are like me, you may intentionally or sometimes unintentionally modify your behavior or actions with your partner while in public due to not wanting to offend others, or draw unwanted attention so as to become the target of people’s hateful stares, mockery, or hostility. Some days it is just easier to wait until we are in the privacy of our own car or at home to share that smile, hold each other’s hand, or exchange a quick kiss. Some may think I do this because I am ashamed of who I am or because I want to leave the fight for equality up to others and not get involved. That’s not it at all. I fully embrace being gay, I have reconciled it with my faith, I could not be more proud of my wife, and I would love to be a part of making a difference. I dream of a day where I no longer worry about what someone else may think about my relationship. I long for a day when holding my wife’s hand doesn’t turn the head and illicit a stare from one single stranger. I hope that one day the sweat will stop dripping down my back right before I tell a new supervisor that I am gay. I have moments where I feel brave and do not care what others think of me. Then, just as quickly as it arrived, the bravery leaves and I feel the need to rush back into the solace of my shell. I wish I could be strong and consistent, but unfortunately there are still times where I am overcome with the fear of what others think. I can’t seem to find the off button. I care about not offending those in my family who still struggle with accepting me and don’t want to drive the wedge deeper. I am bothered by the mean stares of strangers; and the pain of rejection from my fellow Christian colleagues is still raw and very real. I’ve been told that I need to get tougher skin, but I just can’t seem to find a store that’s selling it. Despite being told numerous times that I would get used to the pain, I have not. After being in the closet for 35 years, sometimes the comfort of its darkness is still more comfortable than dealing with other people’s discomfort. While the fear is still real at times, there is one very important thing that has helped me to live more authentically – community. Knowing that my wife and I are not alone on this journey has proven to be a great comfort. I have noticed that when I am in a group with my LGBT friends, I am able to truly be myself without worrying about what outsiders may think. I feel at peace when I am with those who know first hand the challenges and successes of being gay and in the military. I look at where I was a little over a year ago: completely closeted, paranoid, and ALWAYS afraid of being outed. Compared with today: I am starting a welcoming and affirming church in my community next month, I am out to my family, my friends, former supervisors, and just about 20 minutes ago, with the sweat beginning to roll down my back, I came out to my Brigade Commander and my new Chaplain Assistant. I absolutely would not have been able to do those things without the support of an amazing community and incredible friends. That is courage. Generally, coming out should be a single expereince. A, once-in-a-lifetime, courageous moment where, once it has been done, you know who is with you and who is not. Only, in the military, we often need to live the same experince over and over again. Mosty, they are just annoying like learning the lay of the land, learning the lightswitches in the house, finding the best route to school, understanding the local culture. Sometimes, it’s a little more difficult and requires more and more emotional energy to figure it out like finding a new church and intigrating into that worship community. It can be exhausting. I can’t imagine what it is like to have to come out over and over again to people you don’t know but now need to work for. Clearly, it is a painful, overwhellming experience. CH Hodge, I’m glad you have the courage to be who you are. I’m glad that you are founding a church in a community that needs an open and affirming place to worship. I’ll be glad to preach there anytime. Thanks for, once again, confirming my choice to be an open and affirming chaplain. This last summer, the General Assembly of the Christian Church (Disciples of Christ) voted to call all Disciples Congregations to be a welcoming people of grace to ALL God’s children. All is given as “race, gender, age, sexual orientation, gender identity, nationality, ethnicity, marital status, physical or mental ability, political stance or theological perspective.” Seems patently obvious but then, if we were all doing this already, such a statement would be unnecessary. This is my answer to that call. A call given by my church but heard by me as a call from God. “After all,” I reasoned, “if I make it too well known, I’ll just be labeled as the one who is “ok with the gays” and it’ll be all anyone thinks about when my name comes up. It’s just not that big a deal to me. I minister to everyone but surely, that’s a given. Here’s the thing: I’ve met those with HIV because there was no safe place to identify as gay so they went to where they could and it was not safe. I have met those who ran from the church only to come to the Army for a sense of community and get rejected yet again. I’ve cried with those who finally say the words out loud, “I’m gay and I can’t tell anyone.” I’ve heard the stories about walking past the Chapel and in isolation, thinking about suicide but thinking there was no one inside who would help them. It is not enough to just minister by word of mouth. In a world where state legislators are literally passing laws that would allow them to refuse service to my fellow Soldiers (and everyone else) simply because of their orientation – it is not enough to be silent. 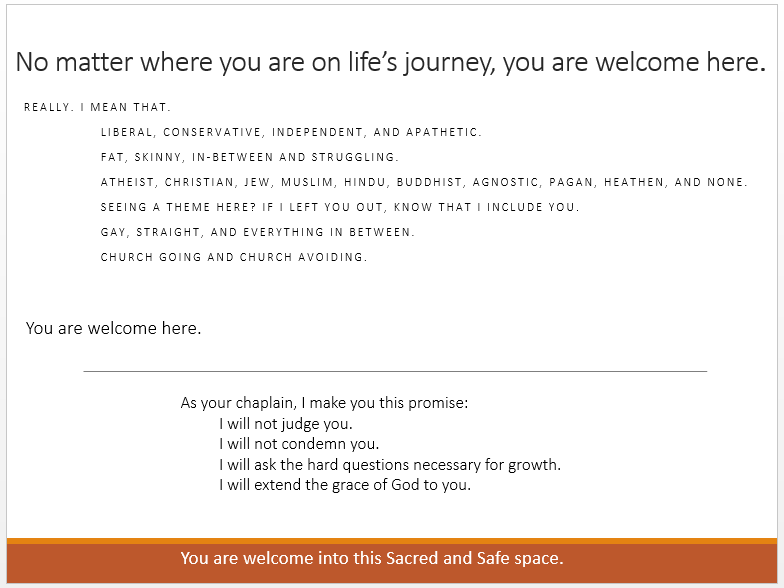 As a chaplain, I do not have a church to challenge with the Open and Affirming process, but I certainly can be exactly that – Open and Affirming. I’m not saying this to be reactionary or a contrarian. I do not speak for anyone else but me. I am saying this for the Soldier who is alone and thinks the world has rejected her because of who she is. I am saying this for the Soldier walking by the chapel thinking that there is no one in there who can hear his pain and not judge him. I am saying this for the spouse who, in shame, does not feel like he has anyone to turn to because of what he thinks about himself. I am saying this for the parent whose gay child has just joined the Army and they are so worried that he’ll be abused for who he is. I am saying this for the chaplains who also are “in the closet.” Truth is, they feel as I do but do not want to say it out loud and experience other chaplains reject them for interpreting Scripture differently from them. I’m saying this for me. I’m saying this because if one of my children came out and was in the Army, I hope they would have a chaplain that would help them process what they are going through without judgment or condemnation. I’m saying this for all those I have known, closeted and not, who have experienced great pain because the God they know and love is represented as doing the opposite. From now on, this sign will hang on my door as a message to all the Soldiers, family members, and other chaplains I run across in my career – You are welcome.